No one really knows how many fake e-cigs are out there right now. Unfortunately, we can tell you that the market is full of them. Fake, counterfeit or clone e-cigarette, mods, tanks and so on are virtually everywhere. They are sold in retail shops, online auction sites, discount sites and even local classified listings. While no one can give you exact numbers, there is a number that I can give you. That number is 600. There are several dozen world-class e-cig manufacturers in Shenzhen, China. There are 600 total e-cig factories in Shenzhen. That means there are likely hundreds of e-cig factories making fake, counterfeit e-cigs. The potential number of fakes on the market could be worse than anyone imagines. Some of the best electronic cigarette manufacturers in the world are in Shenzhen, China. There are a few dozen world class manufacturers. However, in total, in a small industrial area in Shenzhen, there are 600 electronic cigarette manufacturing operations. Let’s do some math. You have a few dozen world class manufacturers making some of the best vapor products. That leaves 550 or so unaccounted for. So what are they doing? They are probably making fake e-cigs. It’s easy money. 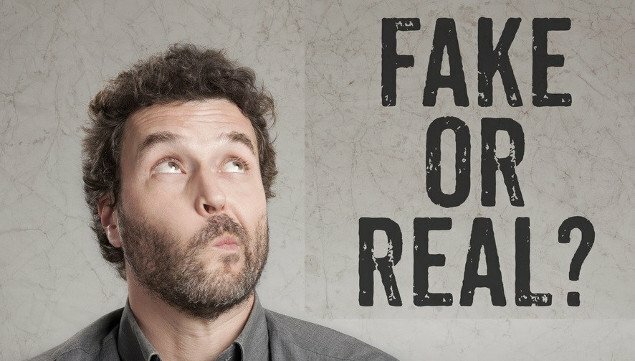 All the counterfeiter has to do is make a product that looks like the real thing and take advantage of another company’s reputation and marketing. With so many factories simply copying name brand products, do the math, and you cannot escape a conclusion that the fakes are flooding the market. The situation is vastly underreported, and the concerns are very real. People are being ripped off by counterfeit vapor products every day. Fake e-cigs are counterfeit products. They are made to look like the authentic, name brand product. They even copy the packaging and manuals to a T, but the similarities typically end there. While the clone artists are very good at making fake vapor products look real, they are not so good at things like quality control. The counterfeit manufacturers often have no consideration regarding the quality of materials used. In other words, fake e-cigs are cheap, low-quality copies that frankly do not vape very well at all. Fake e-cigs, or clones, are counterfeit products made to resemble an authentic name brand vapor product. Fakes are built using cheap materials and cheap technology to cut corners and undercut the market value of authentic, name brand vapor products. The packing and even authenticity cods are often precisely copied. I will give you one quick example. First, let’s look at batteries. A good quality lithium-ion battery is made with top grade lithium metal. A lower purity lithium metal has impurities that interfere with the smooth transition of charged particles. These impurities make for a lousy battery that won’t last very long and won’t perform very well. Fake e-cigarettes with internal batteries generally use the cheaper grade lithium. Cloned and counterfeit vapor products use the cheapest materials that they can get their hands on. They use low-quality chips and processors. Cheap materials and low-quality chip technology are obviously a glaring safety issue. Chinese companies have a global reputation for trouncing on intellectual property rights. They have a reputation for reverse engineering other people’s products to manufacture cheaper versions and undercut the market. This is what is happening in Shenzhen, and why you need to be aware. When you buy an e-cig from an American company like V2, Mig Vapor or Halo you do not have to worry about being ripped off by a fake electronic cigarette. On top of that, you typically get a 30-day money back guarantee and a long-term warranty. One additional bonus is that with the US brands you will have access to US based customer support directly with the company that made your vape. No fake e-cig issues there. It is the imported name brand vapor products that are counterfeited. Name brands like Kanger, Aspire, Joyetech and others are the ones being copied. Once you buy a fake, there’s probably not a whole lot you can do about it. More on that in a second. The best outcome is not to get ripped off by a fake, to begin with. That is what we want to focus on first. Here’s a simple rule of thumb. You have heard this before, and it is as true in vaping as it is in life. If something seems too good to be true, it probably is. Price is the best first indicator of a fake e-cigarette. How do you tell a fake, counterfeit or clone electronic cigarette? Your first indicator is the price. If the price seems too good to be true, it probably is. For example, if you see an e-cig being sold for $70 on a reputable website and then you see the same mod being sold for $50 in a shop, on a discount website, on Amazon or an auction site like eBay, be very wary. We all want a good deal, and there are many good deals to be had on authentic e-cigs. Sometimes the distance between a good deal and too good to be true can be razor thin. Once again, the lowest prices are the most suspect. This is where trusted sources and reputable vendors enter the picture. VapingDaily is your resource to help you navigate this minefield and to help you avoid being ripped off. The name brand, top quality electronic cigarettes are all very much aware that their products are being counterfeited. In response, brands like Kanger, Smok, Aspire and others have attached unique authenticity codes to every product that they produce. Including coils. Quite often, your vape device packaging will have an area where you scratch to reveal the authenticity code. Once you reveal the code, you enter it on the manufacturer’s website to verify whether your e-cig is the real deal or a fake. Sometimes you enter an authenticity code and find that while the code is real, it has been checked hundreds if not thousands of times. What we often see is that the fake e-cig manufacturers will copy a genuine authenticity code and attach it to all their counterfeits. When you see that an authenticity code has been checked more than once, you have been ripped off by a fake. It is not a good feeling. You should always check your authenticity code with the manufacturer to find out if your vapor product is genuine. Authentic products will be assigned a unique authenticity code for every product. Counterfeiters will either fake an authenticity code or use a stolen authenticity code. If your authenticity code is fake, it will not check out with the manufacturer. If you check the authenticity code and find that your code has already been checked multiple times, that is an indication of a stolen code. Of course, we recommend that you always check the authenticity code. Checking the authenticity code usually means that you have removed cellophane seal, opened the product and physically scratched to reveal the code. In other words, you have to actually buy the product before you can check the authenticity. Unfortunately, by the time you find out it is a fake, the transaction is a done deal. Your money has already been spent. What next? What Can I Do If I Find Out My E-cig Is Fake? What can you do if you find out your e-cig is a fake? The answer is not much. That is the reality. That is the cold, hard truth. If you truly want to pursue a refund, you will likely embark on a winding, fruitless road to nothing but frustration. If you find out that your vape shop sold you a fake, it is completely possible that they too were ripped off by a distributor and had no idea. You should let your local shop know that your product was a fake. They may accept a return. If they are a legitimate business, they will want to know. If they tell you that the clone is just as good as the real thing, I would recommend that you buy elsewhere from now on. When you get stuck with a counterfeit e-cigarette the seller will probably refer you elsewhere. They may refer you to a distributor or tell you to talk to the manufacturer. However, you will probably never be able to find out who the manufacturer is. There is nothing on the packaging or inside a fake e-cig that can be traced back to the real manufacturer. The counterfeit factories are copying someone else, and they operate with impunity. They have little fear of accountability. The moral of the story is this. If you end up with a fake, phony electronic cigarette, you are likely going to be stuck taking the loss. Who Is Selling Fake Electronic Cigarettes? Are bad people selling fake electronic cigarettes? Not necessarily. It is more a case of shady distributors. There are lots of them. Many of the people selling clones and counterfeits have no idea they are doing so. Here’s how easy this happens. I have been in the electronic cigarette industry for several years now. Through the years I have ended up on several industry email lists. I constantly get emails from vendors offering me name brand products at ridiculously low prices. For example, in my inbox today was an email from someone in China offering to sell me 100 units of a very popular vape tank for $6.50 each. The email was not sent by a distributor that I am familiar with. Now I know there is no way that this is an authentic product. Now imagine someone who does not know the industry, and they get an email or find a deal like this on a site like Alibaba. For many people, they simply see a chance to cash in. So often clones come to market through uncareful exuberance as opposed to evil intention. That said, I cannot be so naive not to think that there are also sellers who know full well they are peddling fake e-cigs. Ultimately, counterfeit vapor products are sold because of lack of awareness as well as crooked greed. Once again, not a pretty answer but it is the real answer. I have heard people in the vaping community say that fakes are fine. They say that when they break down just buy a new cheap imitation. Sure, they don’t last but they are cheap so who cares? Listen, not only are fake vapes cheap but they also may be dangerous. Fake e-cigs often get very hot to the touch and can be uncomfortable to handle or even cause burns. Fakes can overheat and burn e-liquid generating toxins in the vapor. Low-quality materials that break down easily. Counterfeit coils with coil wire that cannot properly resist heat so you end up inhaling vaporized, metallic particles. Poor technology that does not properly regulate electric current. Unreliable safety features and battery impurities that can lead to a fire or explosion. Very difficult to trace manufacturer so if something does happen it would be very difficult to recover damages. Earlier, I gave an example of how copycat e-cig factories might use low-grade lithium batteries. Batteries with impurities are more likely enter a thermal runaway. In other words, an exploding e-cig. Many of the media stories you have heard about e-cigarette catching fire are because of a thermal runaway. An authentic e-cig with a proven quality processor will typically have a 10-second cutoff. That means that the device will only allow power to be drawn from a battery for a maximum of 10 seconds to prevent a thermal runaway. When you combine a cheap lithium ion battery with a poorly constructed device with a shoddy processor, you could have a recipe for disaster. Aside from the clear physical dangers of fake e-cigs, there is also the question of performance. Counterfeit and clone vapes do not have the quality of materials and technology to deliver a satisfying and enjoyable experience. The list of downsides of getting stuck with a fake is long and not very pretty. Given that you have little to no recourse when you get stuck with a cheap imitation, avoiding fake e-cigs should be your primary goal. At Vaping Daily, we can help you with that with referrals to authenticated, reputable vendors. The best electronic cigarette vendors will have certificates of authenticity from the leading manufacturers verifying that they are selling the genuine article. There is no sugar coating this so here goes. When you buy from Amazon, Craigslist or eBay, you never know what you will get. I am sure there are legit people selling there but why take the risk? There is no real upside. If you buy from a vape shop make sure you ask questions. Ask if they are selling an authentic product. Ask if they will refund you your money if you go home, check the authenticity code and find out you have a fake. If they don’t back it 100%, don’t buy it. Another thing you can do is buy from the leading American e-cig companies. That is companies like V2, VaporFi, Halo, Mig Vapor to name a few. Think of the advantages. You get an insurance policy so to speak! You get a money back guarantee, warranty protection and you know exactly who you are buying from. In fact, you can easily contact their respective customer service departments, located in the US, and speak to them directly. They stand by their products. At the end of the day, what you want to look for is a definitive commitment that the electronic cigarette product that you are buying is backed by whoever is selling it to you. If they don’t back it, don’t buy it. Federal Court Rules Against Nicopure. Liquid Nicotine – A Poison or the Antidote to Smoking Cigarettes?